These are the destinations backpackers reminisce to each other about while squished into the back of bush taxis…affordable retreats you won’t hear about from the comfort of your couch. Until now. At this upscale campground, human-size monkeys cross the beach and a resident zebra playfully steals guests’ belongings. 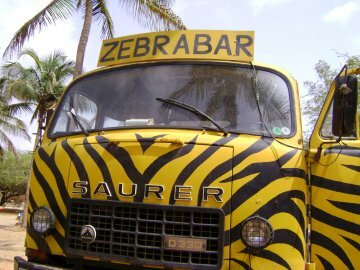 With a river that’s safe for swimming and a deserted ocean beach, Zebrabar accommodates the solo backpacker as well as families with young children, making it a fabulous place to meet travelers from all over the globe. During the high tourist season around New Year, birders flock to the campgrounds to explore National Park Langue de Barbarie. But from June to September, just a handful of guests are around to relax in the resort’s hammocks, paddle kayaks across the river, and gather for three-course dinners at the water’s edge. Language: French. Swiss owners also speak English and German. Tip: If you’re not a bird watcher, go in the off season (June to September) to have things all to yourself. 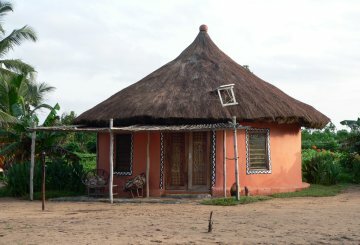 Backpackers and volunteers in Ghana talk about Green Turtle as though it were the very definition of paradise, which it might well be compared to some of the country’s other accommodations. This is a true getaway from the hustle of Ghana’s cities, and since it revolves around environment- and community-oriented tourism, there’s no need to feel guilty for lounging here for days on end. Visit nearby fishing villages, canoe through mangroves, and stroll the beach looking for the sea turtles that nest here between October and March. The highlight of the day? When the cook posts the menu. From coconut fish curry to jam on homemade bread, the food is cheap — a few dollars for a meal — and tasty. Tip: If it’s raining, pass on the tent and spring for a bed instead. Book one from within Ghana by text message, since cell service is spotty at the resort. This isn’t one resort; it’s an entire beach town overflowing with hotels for you to choose from. Some are pricey for the backpacker’s budget, but once you get a taste of the spectacular coastline and succulent seafood, you’ll see that Kribi is worth splurging for a few days. The town is also home to one of the world’s few freshwater falls that feeds directly into the ocean. Nightlife here is hoppin’! Bars and clubs are crowded until late, and street vendors hawk grilled fish and brochettes — meat on skewers — to accompany the ubiquitous 22-ounce beers. Tip: Prices are negotiable in the off season, particularly if you’re willing to forgo air conditioning. 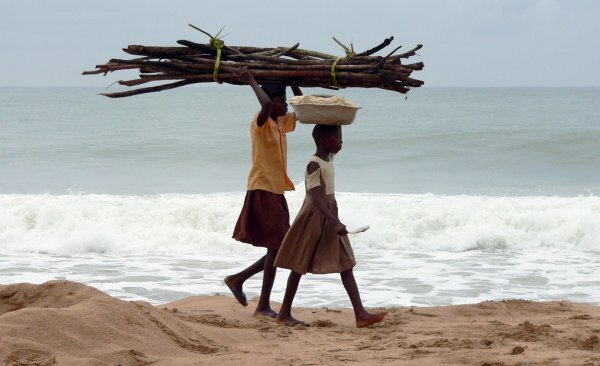 After splurging in Kribi, why not keep heading south to check out Trips’ 5 Reasons to Go to Angola in 2009 (And Beyond) with your own eyes? 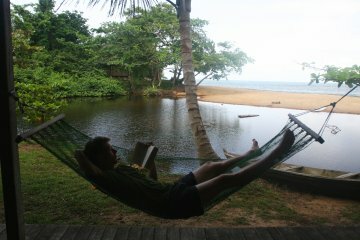 Or hang out longer in Cameroon to investigate Volunteer Opportunities in Africa. And for those who think beaches are a bit dull, may we suggest coming Face to Face with South Africa’s Great Whites? The Dakar: The most dangerous race in the world?